Every time I’m crouched in front of my bookshelf, and my eye wanders over that gloriously Aussie eighties title, What are Ya?, I wonder how many queer teen reading lives Jenny Pausacker saved. I unearthed this book in a second-hand bookshop sometime in the late nineties. I’ll admit I bought it more for the fabulously kitsch value of its cover art than anything. And after finishing it, I had to agree with the reviewer on Goodreads who claims it reads like an episode of Heartbreak High (a nineties Aussie teen drama). But it’s not the book’s literary merit that makes this book important. It’s the fact that a YA book featuring a lesbian as one of the main characters existed at all in 1987. A prolific author and YA stalwart, Pausacker claims to be Australia’s first openly gay YA writer. And she was certainly one of only a tiny handful of Australian writers bringing queer YA characters to life through the eighties and early nineties. A dearth of LGBTQIA YA in Australia thirty years ago is unsurprising in itself. Especially in a country that’s still dithering on marriage equality. What’s more surprising is the fact that it’s really only begun to get better very recently. If I wanted to pinpoint the moment when I think the tide first started to (very) slowly turn for Aussie LGBTQIA YA, it was the second half of the nineties. Because any archeo-literary dig for signs of guilt about a lack of diverse literary representation in Australia almost always end with a good old-fashioned short story anthology. It’s almost as if publishers suddenly realise, “We don’t have enough [insert minority here] voices! How socially irresponsible. Quick—an anthology!” Then they flood the gap with short stories. In the late nineties not one but two LGBTQIA collections featuring short stories for young adult readers appeared. This was accompanied by about 9 or 10 novels (a bunch of them written by Pausacker) published in the period. Slowly LGBTQIA teens were being allowed to see themselves in printed existence. Young adult fiction is popular in Australia. New titles are released every week by major publishing houses. The LoveOzYA movement, a community of aficionados, bloggers and industry folk, vigorously supports emerging and established YA writers. Entire panels and afternoons are dedicated to the demographic at major literary festivals. And good LGBTQIA YA books appear to enjoy the same enthusiasm as the rest. But until recently there haven’t been that many to celebrate. 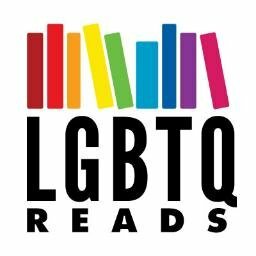 The creator of the AUSQueerYA list on Goodreads has unearthed at total of 91 LGBTQ YA books published in Australia between 1975 and 2016. While 91 is not an awful number, only a proportion of these book feature LGBTQ main characters. Others simply offer a queer minor cast member or those nebulous LGTBQIA “themes.” Of those 91 books, roughly two thirds were published in the last decade. It’s really only the last few years that could be described as banner years for LGBTQIA content. Not just in terms of abundance (okay, abundance is erring towards hyperbole), but for visibility, too. Eli Glasman’s 2014 A Boy’s Own Manual to being a Proper Jew was widely reviewed in Australian publications, celebrated for its storyline centering on issues of faith and sexuality. Erin Gough’s The Flywheel, about a young lesbian trying to save her father’s café, won the the 2013 Ampersand prize for emerging writers. Will Kostakis’ highly successful 2016 novel, The Sidekicks, has recently been sold in the United States. So what’s taken so long? It’s hard to say, exactly. Whenever there’s a lack of representation of minorities in fiction, the first fingers tend to be pointed at publishers. For they are that tricky intersection where creativity meets economic imperative meets social responsibility. It’s like the good old ‘good, fast cheap—pick two’ project management triangle. Only with representation at stake. But is the notion that publishers are not progressive or willing to risk money on minority voices a reality? Or is it just a leftover from a recent, less liberal, past? It’s hard to know. But that apprehension does exist. For example, despite its eventual success The Flywheel author, Erin Gough, was doubtful about the future of her novel even while she was writing it. “The Flywheel was for many years a fun personal project that I worked on without any real intention of publishing. I didn’t think it was the type of book anyone would publish, partly because of the main character’s sexuality,” she says. Instead, Gough would be awarded an Australian Council emerging writer’s grant while working on the book. Then she would go on to win the publisher’s prize that would land her a book deal and place her vivid novel into the limelight. But the slow growth in this country may not just be about publishers. Gough suggests there a number of other, complex factors might have potentially inhibited an increase in Australian LGBTQIA YA, such as LGBTQIA writers’ initial need to be comfortable with their own sexuality (something she claims to have struggled with), the desire not to be pigeonholed as an LGBTQIA writer, gatekeeping by parents and librarians apprehensive to expose young readers to LGBTQIA voices, and a possible reluctance of straight writers to write from an LGBTQIA perspective, feeling they don’t have an authority to do so. One Australian author who has experienced this last apprehension, but who also felt compelled for both personal and political reasons to plough on, is Jared Thomas. Thomas recently brought one of a few recent, sorely-needed, LGBTQIA YA novels featuring Indigenous main characters to the Australian YA landscape. Songs that Sound like Blood traces a year in the life of a young musician, Roxy May Redding. The novel, published by Magabala Books, an Indigenous publishing company, is a tumultuous and affirming coming-of-age story about being young, ambitious, Indigenous and queer. “I was apprehensive about writing this story as a 40-year-old man,” Thomas admits. And to ensure he was doing his character and story justice, Thomas sought critique and support from LGBTQIA friends, family and colleagues. But despite these doubts, Thomas was compelled by a need to address what he sees as a very particular and “huge” gap in LGBTQIA YA fiction about Indigenous lives (as well as one in YA in general), one that had become far too crucial to ignore. Thomas cites his concerns about the cuts in funding to services and programs, and high suicide rates among Indigenous youth as imperatives for him to provide rich, positive representation for (and of) young Aboriginal people. For Erin Gough, the desire to increase LGBTQIA representation in Australian YA started first from personal experience. “I thought about how much I had needed to read such a story as an undergrad, and how I hadn’t been able to find one to read.” But Gough is not just seeking to fill a gap. She is also hoping to broaden the spectrum of representation in LGBTQIA storytelling, starting with a decision to make her main character aware and comfortable with her sexuality from the start of the book. There is certainly something reassuring in the way that these writers all consciously share an awareness of the need for LGBTQIA representation in Australian YA, but see different needs to be filled. It’s hard to know which project has more urgency: representing minority queer voices, normalising LGBTQIA through constant, no-big-deal representation, or broadening the scope of stories told about young LGBTQIA people. That’s because the answer is all of the above. Australian YA fiction needs lots of no-big-deal gay characters. We also need big-deal coming out stories. We need LGBTQIA representation for all minorities. We also need to up the representation of trans, queer, intersex and asexual experiences. Because from here on, diversity is not just about Australian YA needing more LGBTQIA content. That’s clearly starting to happen. Now young Australian readers need a rich palette of experiences from which to draw recognition and affirmation. An array of stories to find themselves in. And these books need to keep coming until there is a story that resonates for every single one of them. Emily O’Beirne is an Australian writer of LGBTQIA young adult fiction. Here recent novels include Points of Departure and Here’s the Thing. Thirteen-year-old Emily woke up one morning with a sudden itch to write her first novel. All day, she sat through her classes, feverishly scribbling away (her silence probably a cherished respite for her teachers). By the time the last bell rang, she had penned fifteen handwritten pages of angsty drivel, replete with blood-red sunsets, moody saxophone music playing somewhere far off in the night, and abandoned whiskey bottles rolling across tables. Nowadays she (hopefully) writes better stories.